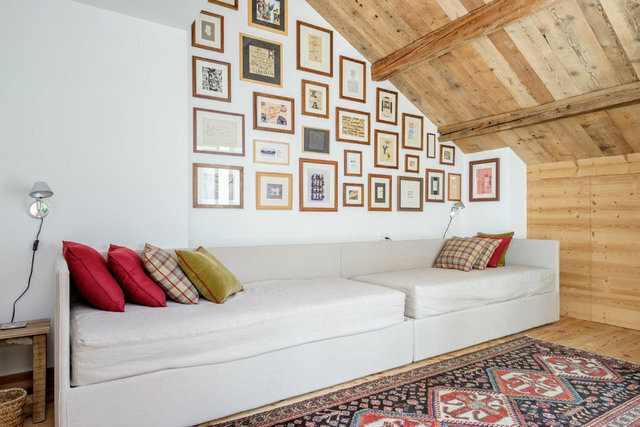 La Punt Chamues-ch si situated at the foot of Albula pass on a sunny high valley which can be comfortable reached by train and bus. The village with its Engadin farm and patrician houses from the 16 and 17 century give this village a special charme. This particular house was built in 1595 and restored in 2012 in 6 luxury and large flats with charme. The exclusive 5.5 duplex apartment on two floors is situated very central and is equipped with top-quality materials, whereat the historical character of the house was maintained. Every room disposes of his own bathroom with bath-top/shower and toilet.